BIRATNAGAR, July 5: Nepali Congress (NC) has breached the CPN-UML 'red fort' comprising Letang, Sundarharaicha and Ratuwamai Municipalities as well as Kerabari Rural Municipality in Morang, in the second phase local polls. NC has also taken the lead in Belbari and Urlabari, another UML stronghold. Considered to be UML turf, Morang district has always given it an overwhelming majority in elections, except this time. The reasons for UML's defeat include discontent over candidate selections and boundary changes during the structuring of local units. There was also the greater togetherness shown by NC. Serious discontent over UML's candidate selections is writ large over the poll results. The 10 wards under Kerabari Rural Municipality have 17,796 eligible voters. In the previous local level elections; CPN UML's Harka Man Tamang won twice in this region. 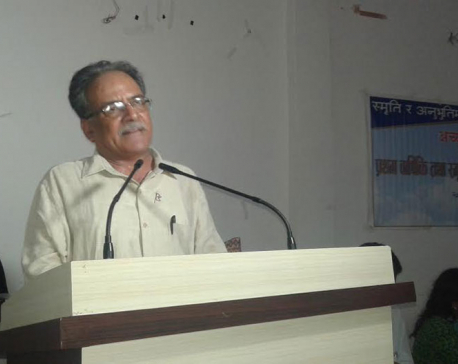 The first Constituent Assembly (CA) elections saw CPN (Maoist Center)'s Gopi Achhami winning Kerabari, which falls under Morang constituency no.. 6. 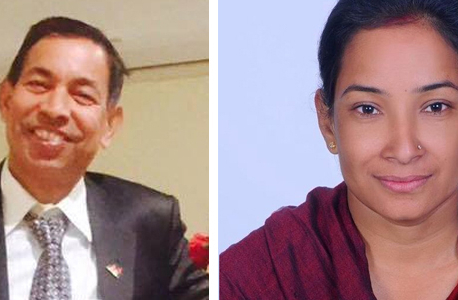 However, in the second CA elections, UML's Chandrabahadur Gurung won a majority. In Sundarharaicha Municipality, NC's Shiva Prasad Dhakal won 16,821 votes against 15,853 for his nearest rival, Kedar Guragain of UML. Dhakal's win is seen as the breaching of a barrier in this constituency.Here too NC has benefitted from UML's internal rifts. Sundarharaicha, the largest among the three municipalities, has 52,760 eligible voters. The northern belt of this local unit was seen as a stronghold of the UML. However, during boundary delineations for local units, a southern belt was added, and this was favorable to NC. There was also a dispute when the candidate supported by an incumbent lawmaker did not get the ticket for the mayoral race. Ratuwamai Municipality was another UML stronghold. The late UML leader Madan Bhandari practised his politics in Itahara, Sijuwa and Southa, which now fall under this municipality. The late Girija Prasad Koirala of NC also ran from this constituency and lost heavily during previous parliamentary elections. In the second CA elections, UML's Rishikesh Pokharel won from here. Taking this to be an UML pocket region, many in the party wanted to contest from here. And these aspirants were unhappy when others were given the party tickets . Letang Municipality, located in the northern hills of Morang, has also seen the NC win against UML. NC's Shankar Rai was elected mayor with 6,961 votes, beating UML's Bhupendra Lawati, his closest rival , who managed to poll 6,656 votes.